This article originally appeared in the American Spectator on January 21, 2019. Even though it’s jam-packed with internet options, Traverse City, Michigan, wants to use millions in taxpayer money to build its own broadband network. It’s a foolish plan for a number of reasons, from the plethora of existing competition to the evolution in which internet will be delivered in the future. Traverse City Light & Power, the city’s public utility, is moving forward with a plan to connect all residents and businesses in the city limits with high-speed internet at an estimated cost of $16.3 million. It has picked Fujitsu and Allo as the two finalists to build and run the fiber-optic network. The utility’s board of directors is likely to choose a company at its next meeting on Jan. 22. Tim Arends, the executive director of the utility, told the Traverse City Record-Eagle that fast internet speeds are as crucial today as electricity was 100 years ago. He said the plan will aid economic growth. “We view it as a critical infrastructure as the streets are, and government certainly should be providing this if the private sector will not,” he told the media outlet. BroadbandNow, which tracks internet options across the country, shows that every resident of Traverse City can access download speeds of 25 megabits per second through two satellite providers (HughesNet and Viasat Internet) and that all but 1.5 percent of residents can get internet through Charter Spectrum, with speeds as high as 100 Mbps. It doesn’t quite meet the broadband standard, but Cherry Capital Connection also offers speeds of 20 Mbps to 100 percent of the population through fixed wireless, a technique that beams a signal from cell towers to antennas installed on rooftops. In addition, Charter Spectrum’s business division provides speeds as high as 1 gigabit per second to all businesses in the city. The utility’s chief information officer, Scott Menhart, has even suggested providing voice-over-internet protocol phone service and cable television as part of the project. The utility hopes to fund most of the cost of the broadband system through a loan paid back by ratepayers. Although better than asking taxpayers to fork over all of the money, this can also be a risky proposition because many municipal broadband projects have found the customer capture rate much lower than expected. It turns out that new entrants cause incumbent providers to compete harder for the business. Who knew? And as BroadbandNow shows there are plenty of competitors in Traverse City. 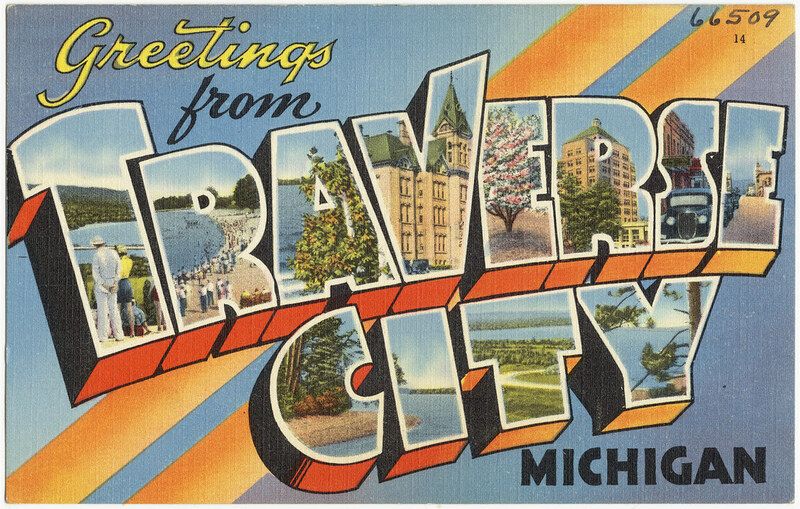 Traverse City Light & Power is also applying for a grant of $2.4 million through the U.S. Department of Agriculture’s Rural Energy Savings Program, which offers funds of up to 15 percent of a project’s cost through its Fiber to the Premise Project. Jarrett Skorup, communications director for the Mackinac Center for Public Policy, finds this curious since that program is intended to offer funds to areas of greatest need. “It seems odd to me that they are applying for this as those funds are intended for underserved areas,” he told Taxpayers Protection Alliance (TPA). That sentiment was echoed by Michigan Cable Telecommunications Association Executive Director Matt Groen in a story posted by Michigan Capitol Confidential on Tuesday, with Groen noting that one of the association’s members (Charter Spectrum) was already providing 1 Gbps service in Traverse City. “We feel money that is obtained through grants should go to those who truly do not have access to broadband, and will not in the foreseeable future due to the cost prohibitive nature of providing service,” he said. Skorup said rather than look to build their own broadband networks, cities such as Traverse City should instead look to cut red tape — such as high permit fees and utility pole access — that make high-speed internet growth more difficult. Michigan has only seen a handful of municipalities seriously discuss or attempt to build their own broadband networks, Skorup said, with residents of Sharon Township voting last year against a property tax increase that would have funded a fiber system there. In addition, new technologies will eventually make fiber-to-the-home unnecessary. Traverse City already has a few fixed wireless options that are offering near-broadband speeds wirelessly. As TPA previously reported, cable providers nationwide are touting a plan to offer their own 10 gig speeds in a growing number of places. And 5G promises to offers speeds of 1 Gbps and up to many more areas wirelessly in the coming years. Small cells will relay signals to homes and businesses in places like Traverse City without the high cost of installing fiber to every location. Not only would such a network be obsolete in the future, it isn’t needed in the present. Traverse City should instead look to reduce regulatory burdens that could impede the expansion of broadband — expansion that wouldn’t require the unnecessary use of taxpayer dollars.